It’s always a joy to watch, and it puts me right back in 1985, I remember seeing it, reading the novel on my way to school, I remember playing the soundtrack over and over until the ink of the track listings was completely faded, I even got myself a skateboard, though I never mastered it, all because of this movie. So how stoked was I that I got to revisit it on the 101 Sci-Fi Movies list? Pretty damned! This was the first movie I saw that put a character my age in a time-travel story, and even now I continue to wonder what my parents were like as kids, so it had an instant appeal in that way, and of course with Michael J. 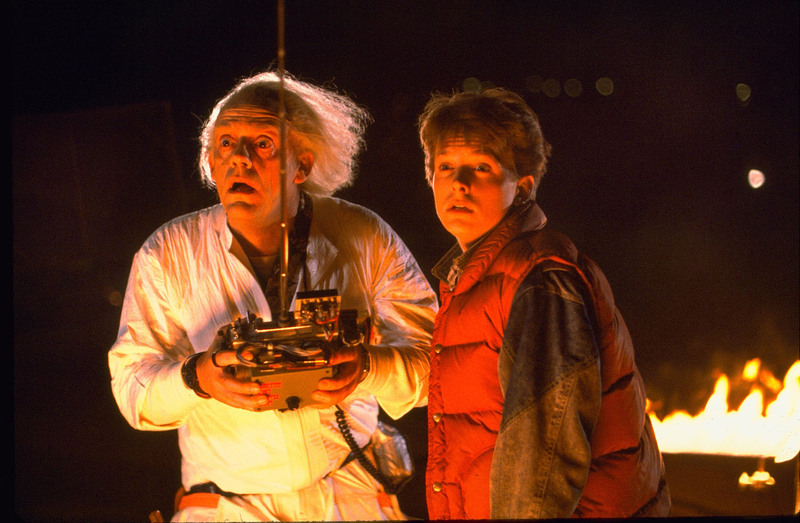 Fox as Marty McFly and Christopher Lloyd as Doc Brown, what wasn’t to like about it? I’ve seen the clips of Eric Stoltz in the Marty role, and as good an actor as he is, he just didn’t have that something that made Marty awesome. For me there isn’t a missed beat or moment in the entire film, and even now it holds up beautifully, though I imagine anyone viewing it today who didn’t live through the times would have no idea what a Tab or Pepsi Free was. 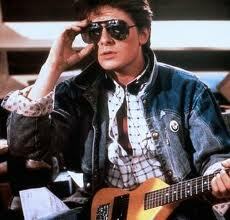 Marty is just your average kid, he plays guitar in a band that is just too darned loud, or at least that’s what Huey Lewis in his cameo thinks, has a great girlfriend in Jennifer (Claudia Wells) and wants to borrow the car for the weekend but Biff (Thomas F. Wilson) wrecks it. And Marty accidentally ends up back in 1955, stops his parents from meeting and falling in love and is now vanishing from time. 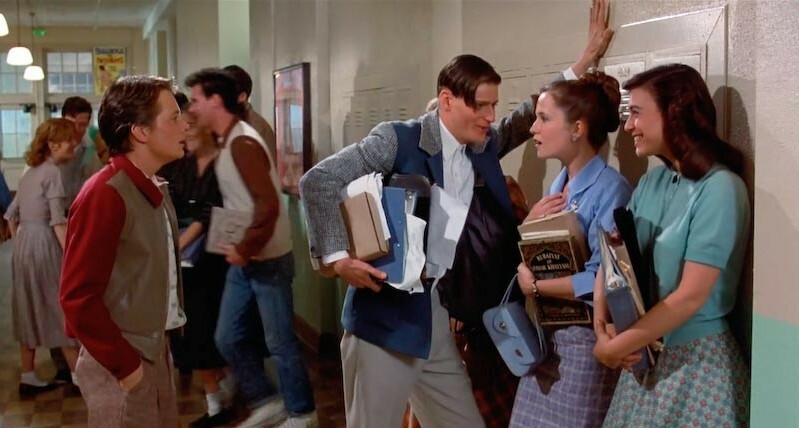 He has to save his own future, get his parents together and get back to the year 1985, but trouble with young Biff, his mother (Lea Thompson) crushing on him, and his dad (Crispin Glover) being a bit odd are all piled against him. Backed with a rousing, highly whiste-able score by Alan Silvestri, Zemeckis alongside co-writer Bob Gale and executive producer Steven Spielberg has created one of my favorite films. Couple this one with Jaws, give me some tomato soup, a grilled cheese and a rainy day on the couch and I’m a happy guy. There isn’t a single thing I don’t love about this movie, and Michael J. Fox, was and still is, one of the coolest people on the planet as far as I’m concerned. 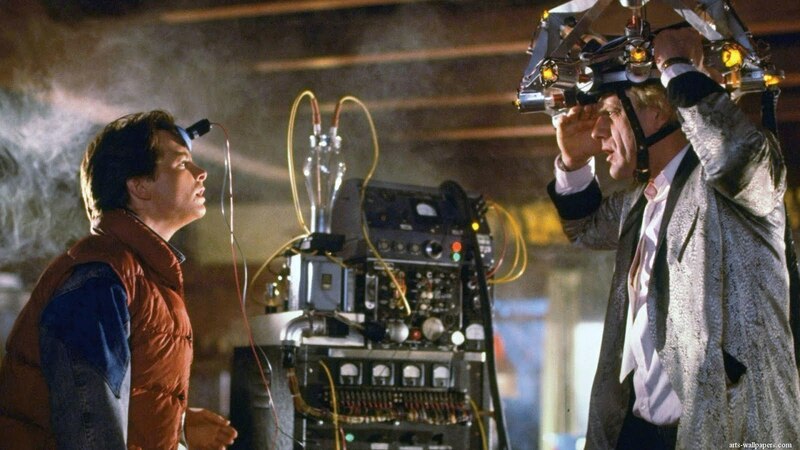 Everything works, the editing and pacing, the attention to detail (Twin Pines changes to Lone Pine before the ends of the film, amongst other changes to the timeline – which of course brings up the idea that Marty didn’t return to his timeline but an alternate one created by him, and the original still exists out there somewhere…), the costumes, the dialogue. I love it all. When someone says 80s movies to me, this and Breakfast Club are the first films I think of, because for me they are perfectly, typically 80s, and I was the characters’ age when I saw them, so it resonated with me. There are bits and pieces I love about the sequels, especially the music, but the first one will always be in my Top 20! (it’s Top 20, because most of the movies are in flux constantly except for the number one position, and we all know what that one is :D). What’s your favorite Michael J. Fox movie?